Specialized in producing paper pencil, wooden pencil, charcoal pencil, ballpoint pen(paper, plastic and Metal material pen), eraser pen etc. 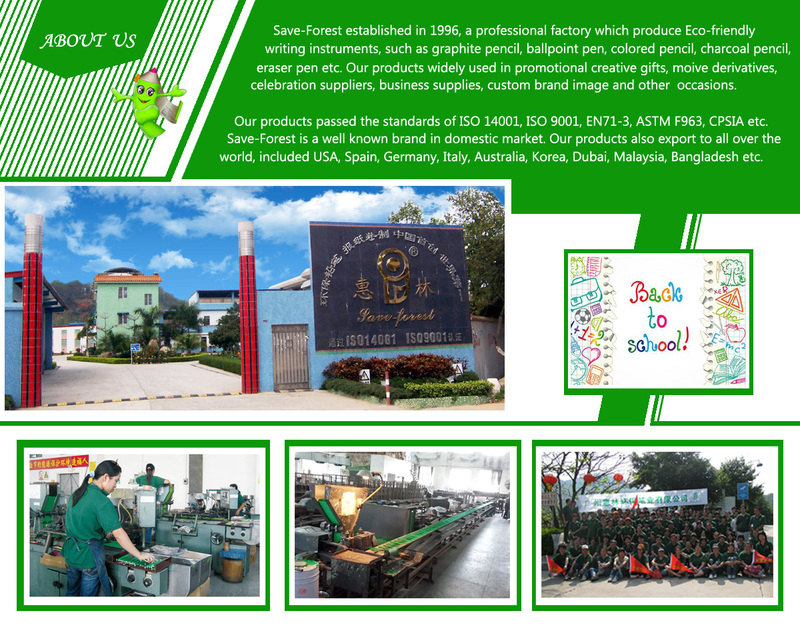 Save-Forest Writing Instruments Co., Ltd. 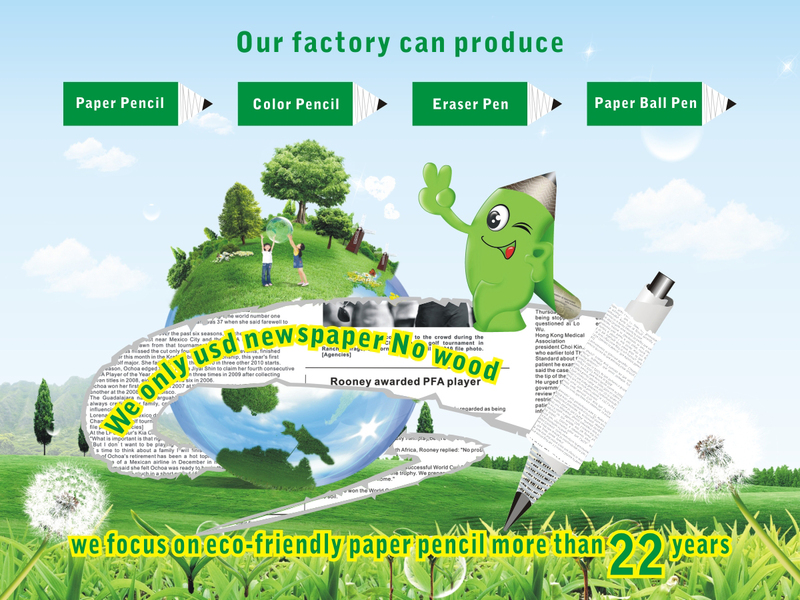 Established in 1996, one of the earliest factory in the world which produce pencil with newspaper, instead of wood. In recent years, we are expanding our production to charcoal pencil, wooden pencil, ballpoint pen(paper, plastic and Metal material pen), eraser pen etc. Our factory over 10,000 square meters, the annual output of more than 100 million pieces. Owning to the high quality and excellent reputation, we passed the evaluation of the National Writing Instrument Standardization Technical Committee, approved to became the responsible company for drafting the Standard of National Paper Pencil Industry in China. We passed standard of ISO14001, ISO9001, EN71-3, ASTM F963, CPSIA etc. We are a member of China Writing Instrument Association, awarded the Guangdong Province Clean Production Enterprise, Guangzhou Distinguish Trademark, Guangzhou honorable Enterprise etc. We are specialized in promotional writing instruments. We are well known brand in domestic market. Our products export to all over the world include the United States, Spain, France, Germany, Italy, Australia, Korea, Dubai, Malaysia, Colombia, Bangladesh, India etc.